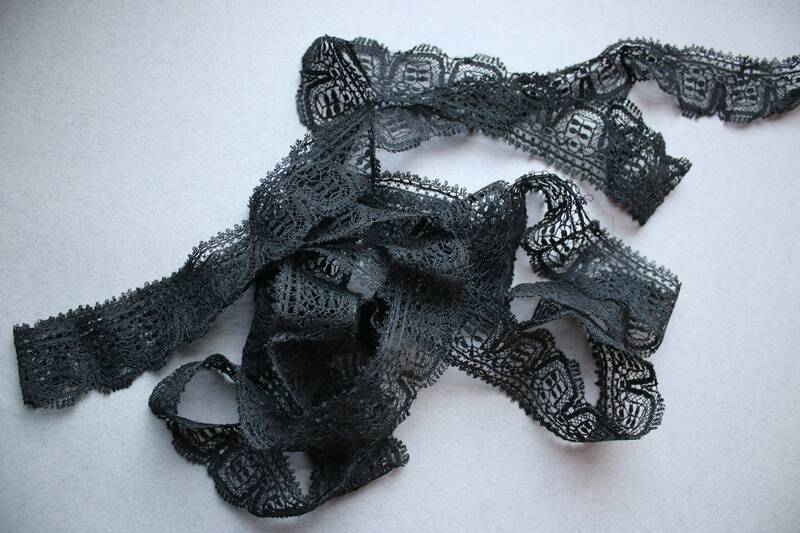 This Victorian era black lace trim is 143"/11.9 feet in length and 1.25" wide. 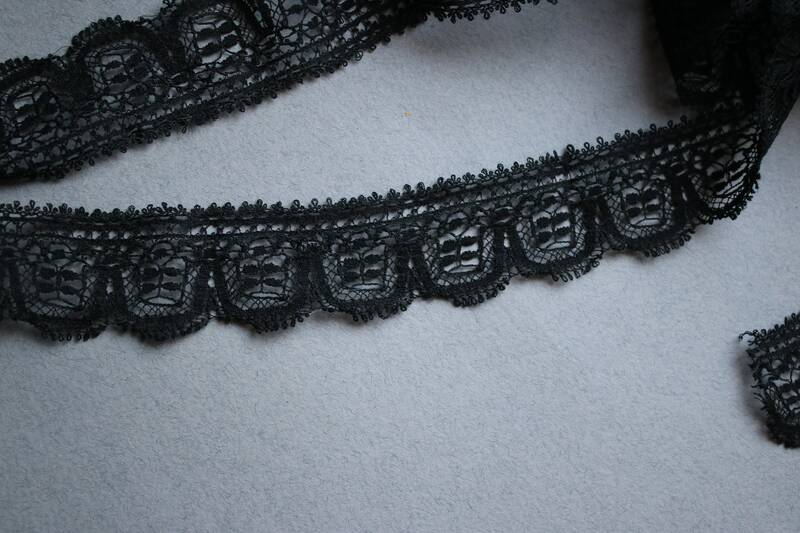 Please note the slight imperfections in the lace that are commensurate with age and use. 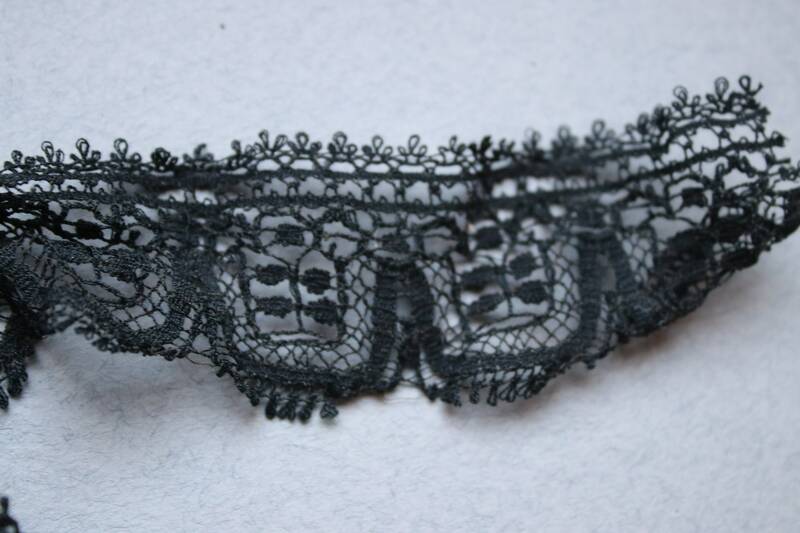 I do believe this lace was removed from a garment.